Hi Friends! A rare post on a Thursday for you guys, but with the start of #NYFW today, I thought that I would share more of a street style outfit to honor the start of the most wonderful week of the year! If you’ve been following along for a while now, you might remember that I wore this pleated mini skirt to Fashion Week LAST year and it was SO good that they’ve continued it through this Fall. It was 100% my most worn piece from last winter and I see nothing stopping it from being the same hard working piece again this year. 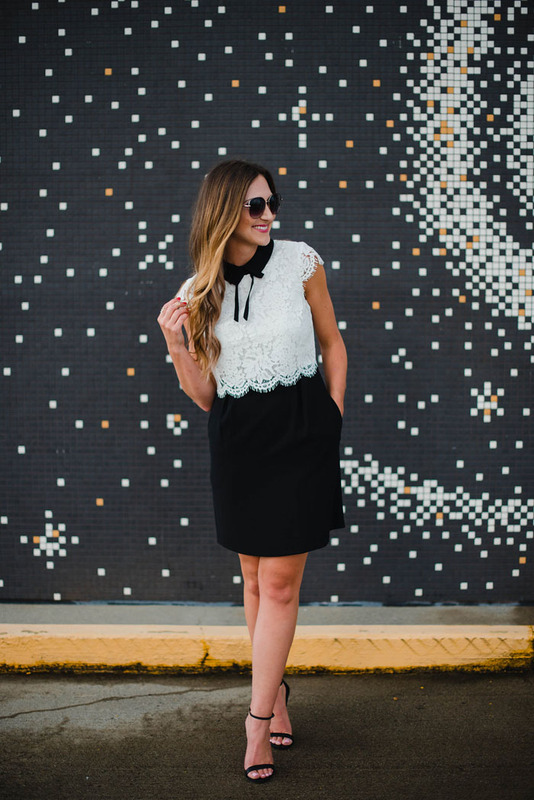 There are so many ways to style it…from edgy to flirty and feminine…that you’ll be shocked at how quickly it will become a “go-to” in your closet! The best part for any of you who didn’t buy it last year is that they substantially lowered the price this year from $128 to $99! Today, I’m wearing it with some unexpected layers and a statement necklace for a street style chic look that’s actually wearable. Guilty as charged wearing this statement necklace again! This time I opted to not wear the choker and just stick with the main necklace. I love how the looks can be changed up so easily. Shop it HERE. 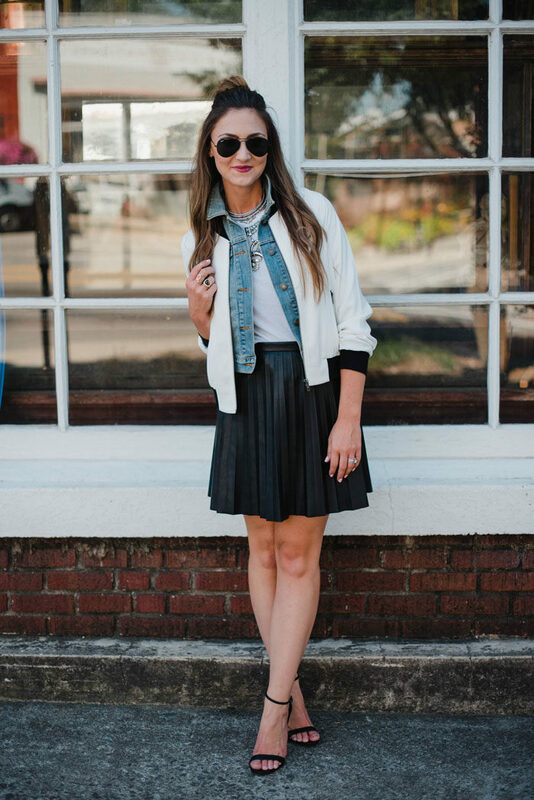 I’m a huge fan of the bomber jacket for Fall and here’s proof that it’s silhouette is versatile. Since it’s not an especially fitted style, you can add layers underneath. I added this tailored denim jacket for an unexpected pop of subtle color and texture and I love how it totally changed the look. 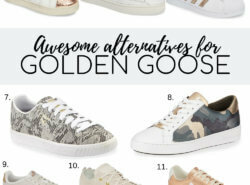 I kept footwear simple, with my go-to strappy heel, but I would also throw on THESE cool sneakers to totally change up the look and make it even more versatile and comfy! Want to see how many other ways I wore this skirt last year?? Check out THIS POST! 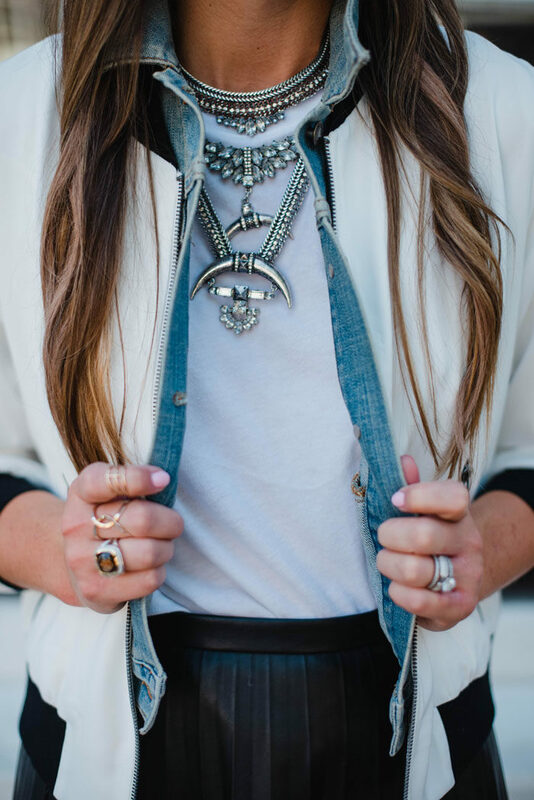 Mallory – I adore your style. I am a mid-fifties woman still trying to stay cool but not tacky. I love the segment you did on athleisure …. comfort is the name of the game ! 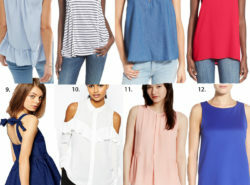 What I really love about you is the fact that my 3 daughters, ages 15 , 22, 24 , always find fashion THEY can wear on your blog — a high school student, a graduate student , and a professional and me, a stay at home mother. Thanks so much !